These have a really nice flavour to them that I haven’t seen on the market before. They are an alternative for the traditional plain snack. A little dry but does the job! 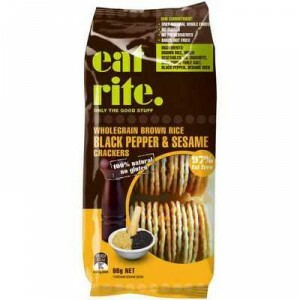 How would you rate Eatrite Rice Crackers Black Pepper & Sesame?